When Jock Lindsey’s Hangar Bar landed at Disney’s Springs a generation of Indiana Jones and Adventurers Club enthusiasts rejoiced! There was something here for everyone, from great cocktails to top notch noshes. The venue itself offered innumerable hints of Indiana Jones’, or more importantly Jock’s, story, real life adventurers and pilots, and even ties to the Adventurers Club, the Society of Explorers and Adventurers, and other Disney created tales. One of the early storytelling standouts came not from the artifacts scattered about the Hangar Bar, but from the coasters themselves. 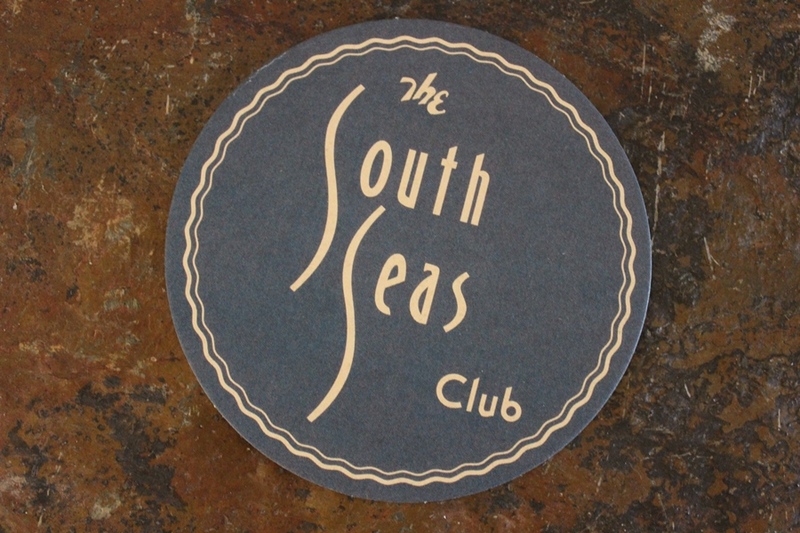 Today, let’s take a moment to follow the threads of each of the coasters from some of Jock’s favorite watering holes around the globe. 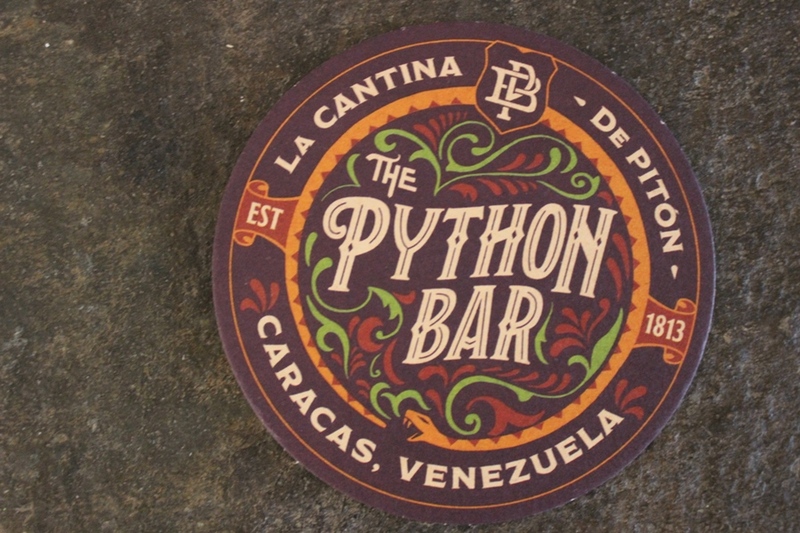 Located in Caracas, Venezuela, and more precisely named La Cantina de Pitón, this was the first coaster to make an appearance at Jock’s place. It was relayed by crew that it was one of his favorite hang-outs, and it also happens to be the only real mention of the place. 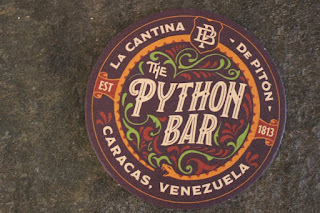 Indiana Jones did visit Caracas in the West End Games’ roleplaying escapade known as Indiana Jones and the Lands of Adventure, so perhaps this is how he and Jock found this bar. This has nothing to do with Indiana Jones, but it does have to do with another hero, the Rocketeer. The South Seas Club is a Hollywood nightclub for the glamourous stars of the golden age of Hollywood. The gorgeous art deco club was the site of Jenny Blake’s date with the dastardly Neville Sinclair in The Rocketeer, and also the spot where Cliff Secord had promised repeatedly to take Jenny on a date. 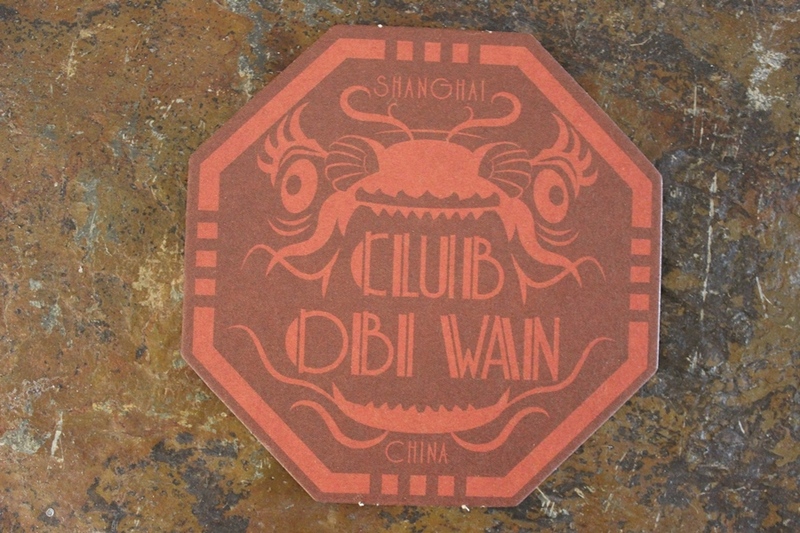 The Shanghai, China restaurant and dinner show takes its name from one of the greatest Jedi of all time, Obi-Wan Kenobi. It is owned by Lao Che, whom Indiana has an encounter with at the club where he attempts to exchange Nurhachi’s remains for a spectacular diamond known as the Peacock’s Eye. During the ensuring confrontation, Indiana’s friend, Wu Han, is killed, Jones is poisoned, he meets and escapes with Willie Scott, and we are introduced to Short Round and his amazing driving abilities. 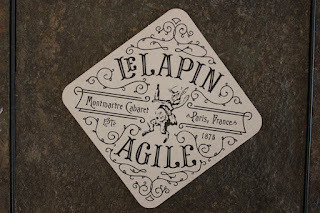 Located in Paris, France, La Lapin Agile can be seen in The Young Indiana Jones Chronicles. It is here where a young Indiana meets Norman Rockwell, Edgar Degas, Pablo Picasso, Fernande Olivier, Gertrude Stein, Helen Seymour, Georges Braque, and others. Forgeries, one-upmanship, and grudges permeate the encounters, but in the end everyone learns a valuable lesson about pride, and go on about their merry way. Café Noir was the home to some of the French Secret Service in Brussels, Belgium, during World War I according to another episode of The Young Indiana Jones Chronicles. 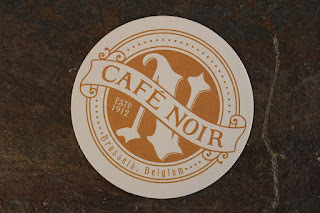 It was where a spy that Jones had had been on several adventures with, Remy Baudouin, had been undercover as the establishment’s proprietor named Albert. In the book, Indiana Jones and the Philosopher’s Stone, Indy is on the trail of the stone after an adversary has discussed his plans for capturing enteral life. 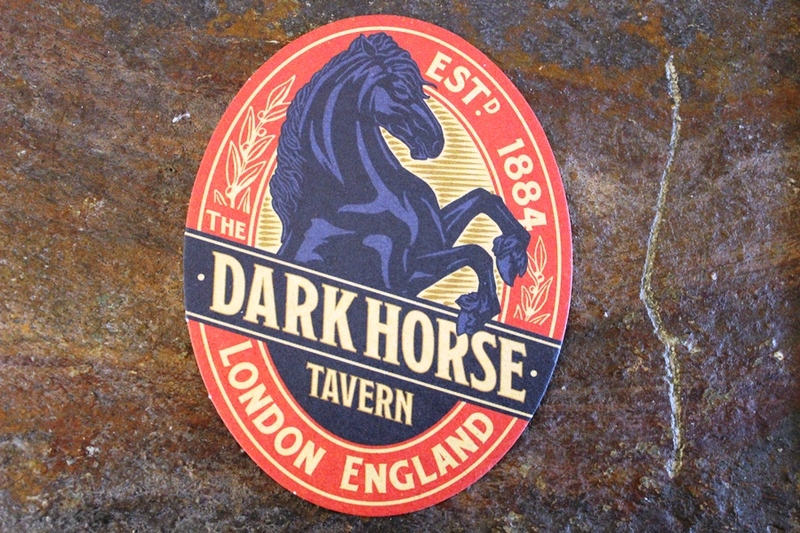 He meets a librarian from the British Museum, Alecia Dunstin, and he pair share a meal at the London, England pub. A raucous fight ensures with a local blacksmith, whom does not look upon Americans kindly, and several pursuing villains before the pair escape to continue their search. 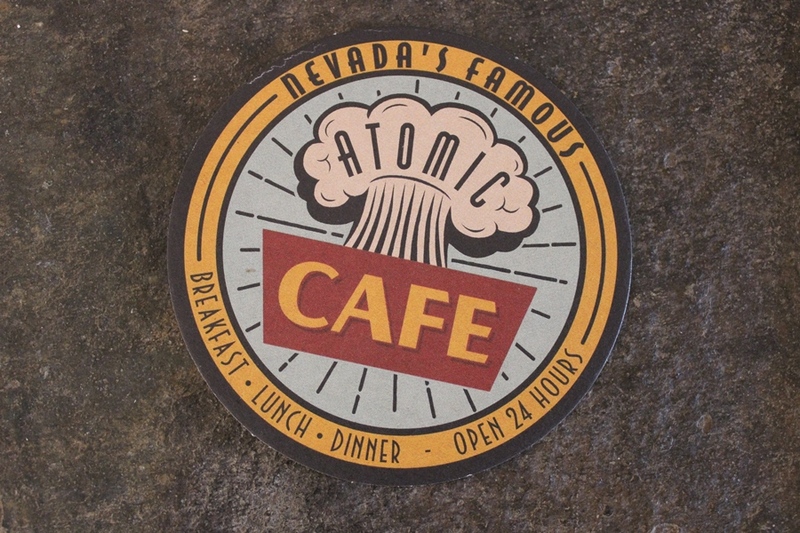 Located off a remote highway in Nevada, the Atomic Cafe was situated near Area 51, the military complex where artifacts, such as the Ark of the Covenant, are stored in Indiana Jones and the Kingdom of the Crystal Skull. A fight and flight scenario with Russian military personnel follows, and Indiana manages to escape via a rocket sled and later a lead-lined refrigerator during a nuclear test. No word on whether or not the Atomic Cafe was still serving a mean cup of joe, but it appears to have won the heart of Jock. 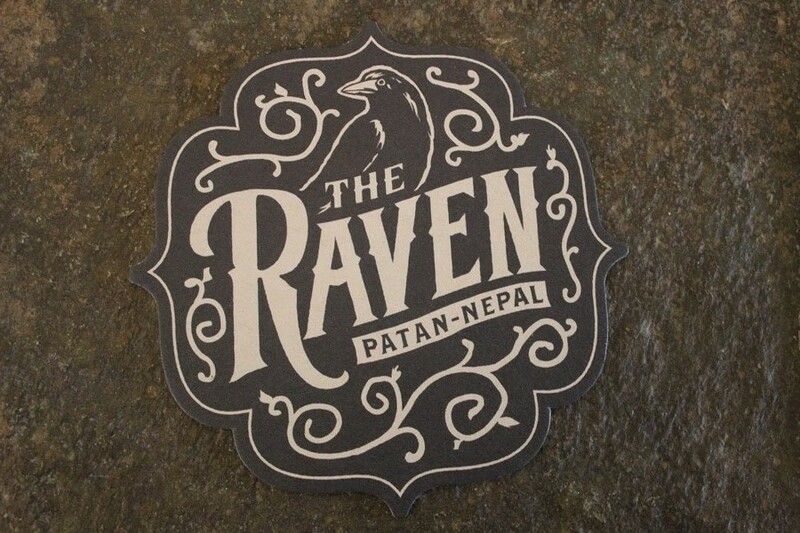 This Patan, Napal establishment is well-known by all as the home of Marion Ravenwood and her father Abner, prior to his death, in Raiders of the Lost Ark. It is here where Indiana once again meets Marion after some period of time, and recovers the headpiece of the Staff of Ra from her. Major Arnold Toht, a member of the Nazi contingent also searching for the headpiece, and his men engaged in an altercation with Jones and Marion at The Raven, resulting in the saloon being burned to the ground. While the coasters of Jock Lindsey’s Hangar Bar are said to be from some of Jock’s favorite bars and restaurants from around the world, they appear to have more in common with the stories of Indiana Jones. 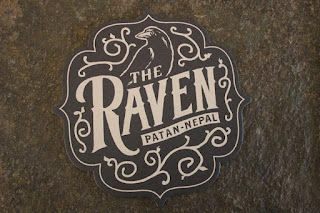 Quick aside, as much as I love The Raven, I’m kind of shocked that the place had coasters! All of that said, there is an amazing amount of story to be unearthed around the Hangar Bar, with the coasters being only one avenue of stories to pursue. Which of the stories and coasters is your personal favorite? Or, better yet, what other renowned establishment would you like to see from the world of Jones and Jock, or the larger stories create by Disney?